I remember watching the result coming in on election night, experiencing shock, disgust and horror – not because Trump was a Republican but because I find the man to be revolting. Seriously. Then there were the allegations that Trump walked in on Miss Teen USA beauty pageant contestants as they were changing in their dressing rooms. And that news came in the wake of revelations by CNN that Trump had bragged to Howard Stern about walking in on contestants as the owner of the Miss USA pageant. In the clip, Trump can be heard asking one of the girls: “You going up the escalator?” Trump can be heard saying. “Yeah,” the voice of a young girl replies. “I am going to be dating her in 10 years. Can you believe it?” Trump can then be heard on the tape remarking to someone off camera. Trump and Ivanka over the years: Is this normal or disturbing? 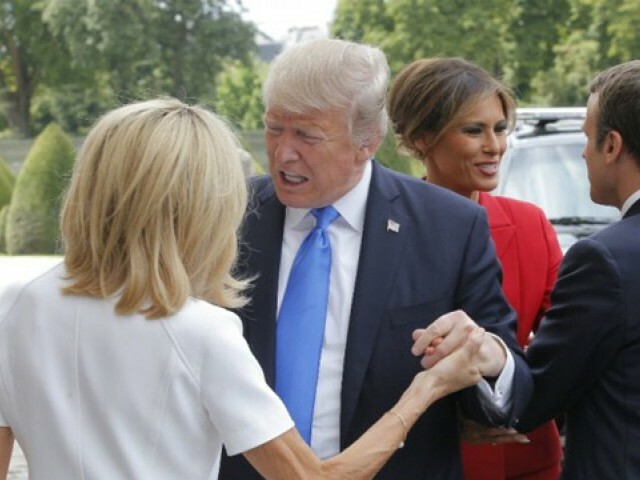 Most recently, Trump took his creepy side to the international stage when he was captured on video telling the French First Lady that she was “in such good shape,” in Paris on Thursday.